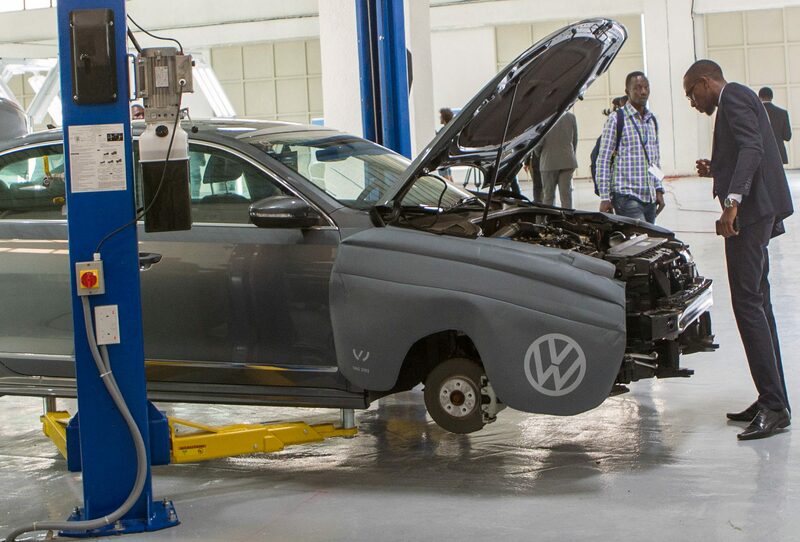 A visitor looks at a the motor of a vehicle inside the first domestically built car rolled off the assembly line at Volkswagen's new factory in Kigali, Rwanda June 27, 2018. New Ethiopian Prime Minister Abiy Ahmed pledged on July 6 to overhaul the East African nation’s economy, saying it had to work harder to attract foreign investment and boost international trade. A month earlier, Ahmed said ending war and expanding economic ties with neighbouring Eritrea was critical for stability and development in the impoverished Horn of Africa region. Ethiopia is not a member of the regional East African Community. However, it joined a sub-regional development initiative with Kenya, Rwanda, South Sudan and Uganda in 2015. An East African railways master plan aims to upgrade decrepit colonial-era rail-lines between Kenya, Uganda, Rwanda, South Sudan and eastern Democratic Republic of Congo. The first leg, from Kenya’s Mombasa port to Nairobi and financed by Beijing, opened in October 2016.